On Wednesday March 27, 2019 Master Chef Club had its first cook off. 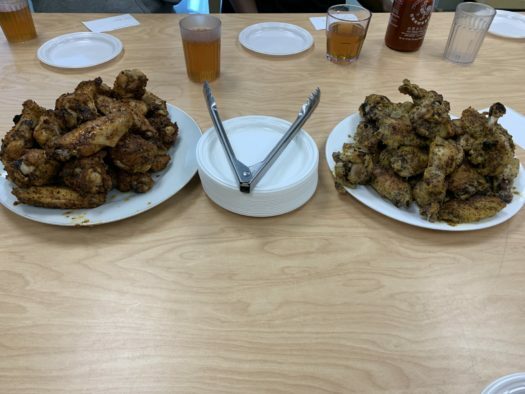 Students decided to make wings for their cook off and also, had to pick the type of flavor that they were going to put on them. Their were two teams, one made Old Bay seasoned wings and the other made Garlic Lemon Pepper wings. At the end everyone tested their wings and their opponents wings to see who should win. The voting was counted out of 10. After, tattling up the votes the garlic lemon pepper wings won.